Remember the Duke Boys? That is the Dukes of Hazzard not the Duke University Basketball Team. The Dukes of Hazzard was a CBS series from 1979 – 85. The shows follows the lives of the Duke Boys, cousins Bo and Luke Duke, their cousin Daisy Duke, their Uncle Jesse, and family friend Cooter Davenport as they struggle with Sheriff Roscoe P. Coltrane and County Commissioner Boss Hogg in Hazzard, Georgia. The show mainly presented the Duke boys trying to out run Sheriff Coltrane in their second generation 1969 Dodge Charger, known as the General Lee. During the run of the show, it is estimated that the production team crashed or otherwise used up hundreds Dodge Charges of this era, which adds to their rarity. The second generation of the Dodge Charger was completely new for 1968. 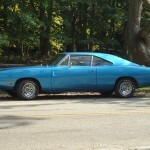 Chrysler corporation had redesigned the entire B-body lineup on which the Charger was based. 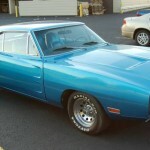 The Charger’s B-body brethren were the Dodge Coronet, Plymouth Belvedere, Plymouth Satelallite and Plymouth GTX models. The charger was differentiated by a double-diamond coke bottle profile with curves around the front fenders and rear quarter panels. The rear end featured a “kick up” spoiler appearance. A “flying buttress” was added to the rear window to make it look similar to the 1966-67 Pontiac GTO. The Charger retained its full-width hidden headlight grille, but the rotating electric headlights had been replaced by a vacuum operated cover. Full-width taillights were gone as well. The rear not featured dual circular taillights. Dual scallops were added to the doors and hood continuing the swoopy style of the new body. The Charger also got a new interior. The prior generations rear bucket seats were gone. 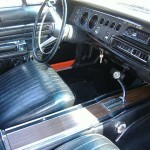 However the console remained the same as the ’67 except for the absence of a armrest cushion. Other changes included an optional tachometer, carpeting in the trunk area was replaced by a vinyl mat, the rear seats did not fold forward and the electroluminescent gauges disappeared in favor of a conventional design. 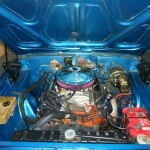 The standard engine was the 318 cubic inch 2-barrel carburetor that was replaced mid-year by a 225 cubic inch slant-six. The previous years 383 2 and 4 barrel carburetor engines remained unchanged. A new high-performance package was added, the R/T. 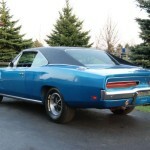 The R/T came standard with the previous year’s 440 “Magnum” and the 426 Hemi was optional. 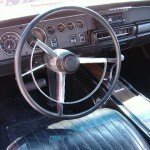 There were minor changes in the 1969 model year. Exterior changes included a new grille with a center divider and new longitudinal taillights. A new Special Edition (SE) trim line was added. 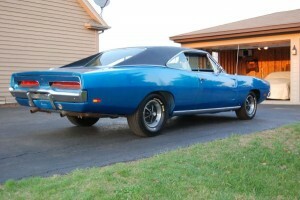 This SE was available by itself or packaged with the R/T. The SE added leather inserts to the front seats, chrome rocker moldings, a wood grain steering wheel and wood grain inserts on the instrument panel. A sunroof became available as optional equipment. Bumble bee stripes returned as well with slight changes. One huge stripe framed by two smaller stripes replaced the previous four stripes. In the middle of the stripe an R/T cutout was placed. If the stripe was deleted, a metal R/T emblem was placed where the R/T cutout was. Dodge failed to beat their NASCAR competition (the Ford Torino Talladega and the Mercury Cyclone Spoiler II) with their NASCAR Charger R/T. So the Dodge engineers started working on the Charger 500 prototype. 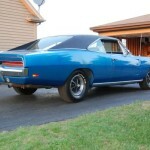 The engineers moved the rear window to be flush with the roof and put a 1968 Coronet Grille up front and added a 426 Hemi and a Torqueflite transmission. 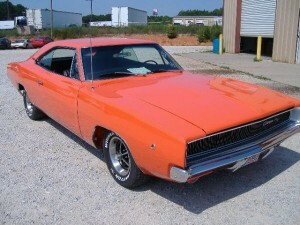 The Charger 500 got the greenlight and was introduced in September 1968 as a limited edition 1969 model. 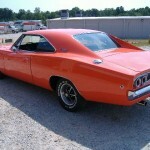 Not satisfied with the Charger 500 compared to the other aerocars on the NASCAR circuit, Dodge introduced the Dodge Charger Daytona in April of 1969. To improve the aerodynamics of the 500, the Charger Daytona received an 18 in aerodynamic nose, a 23 in tall wing on the rear quarter panels. In addition to improving aerodynamics, the wing also helped the car gain directional stability. The Charger Daytona came standard with the 440 Magnum Engine with 375 hp and 480 lb·ft of torque, a 727 Torqueflite Automatic Transmission, and a 3.23 489 Case 8 3/4 Chrysler Differential. 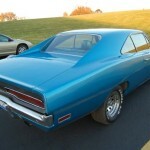 The Charger Daytona had an optional 426 Hemi with 425 hp and 490 lb·ft. The 426 Hemi was available with the no cost option of the A833 4-Speed Manual. 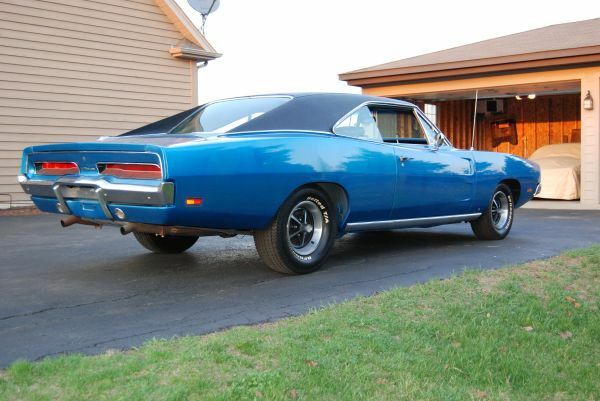 1969 saw 503 Charger Daytonas built. 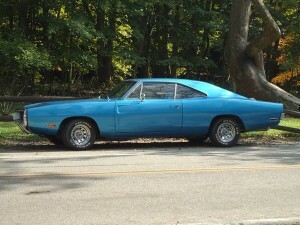 In 1970, the Charger Daytona was replaced by the Plymouth Superbird as the only aerocar to be offered by Chrysler in 1970. Changes were slight in 1970 as a new model would be introduced in 1971. 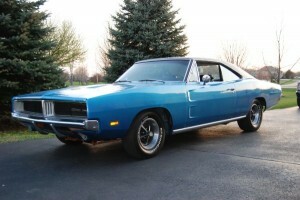 The Charger featured a large wraparound chrome bumper and the grille without last year’s divider in the middle. New electric headlight doors replaced the old vacuum style. The taillights were similar to last years model The 500, now a regular model, and R/T models came with a new taillight panel. The R/T featured new rear-facing scoops with the R/T logo mounted on the front doors, over the door scallops. A new 440 or HEMI hood cutout made the option list for this year only. Changes to the interior included high-back bucket seats, door panels were also revised and the map pockets were now optional instead of standard. The ignition was moved from the dash to the steering column and the glove box was now hinged at the bottom instead of the top as in 1968-69. 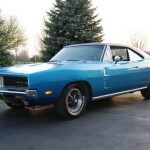 The SE option added luxury to a full on muscle car and was available as 500 SE and R/T SE models. A new pistol grip shifter was introduced. 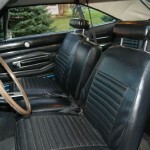 And the Charger was now available with a bench seat for the first time. A new 440 Six Pack engine was optional. It was offered with three two-barrel carburetors and a rating of 390 hp (290 kW). 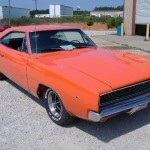 This entry was posted in Charger, Dodge and tagged Cornet, Duke Boys, Dukes of Hazzard, General Lee, GTX, Satellite. Bookmark the permalink.